BCF : Saxony court officials have decided this week that a Niedersdorf man can now legally sell his miniature gallow souvenirs, despite the fact they have reservations for Angela Merkel and her colleague Sigmar Gabriel on them. 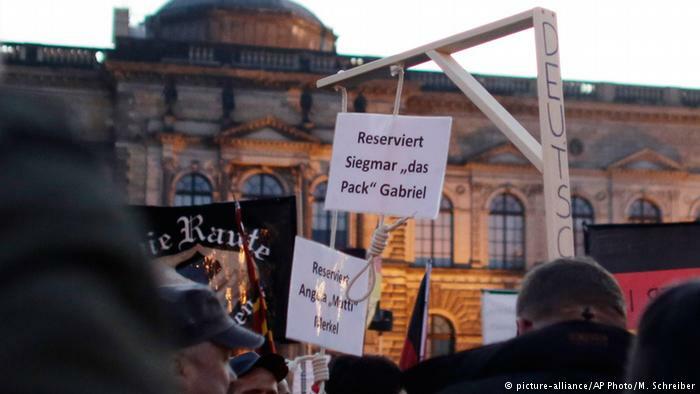 In a surprising decision by the Chemnitz judiciary, a citizen has been allowed to sell his miniature versions of the gallows used at the Dresden Pegida demonstration on October 12th 2015, reported the Süddeutsche Zeitung on Wednesday. The miniatures are based on the life-sized gallows carried in the protest in 2015, which had signs hanging from the hangman’s nooses with the words, “Reserved for Angela ‘Mutti’ Merkel” and “Reserved for Sigmar ‘low-life’ Gabriel”.